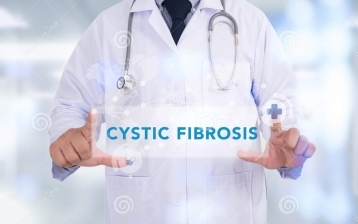 Age-related changes and concomitant disease processes predispose individuals to feeding and/or swallowing difficulties, which may result in choking and/or aspiration, especially during food and fluid intake. While estimates vary, documented prevalence of swallowing difficulties (or dysphagia) in the elderly is between 12-60% in various diseases. Disease processes, such as stroke, can increase prevalence as high as 90%. Using texture-modified foods and thickened fluids is a strategy to compensate for dysphagia and improve the safety and efficiency of swallowing. Currently, in Israel, there are no standardized and unified terminologies and definitions for texture-modified diets. The inconsistent terminology adversely affects patient safety and the efficiency of communication between staff members both within and between health institutions. To map the labels and definitions of prevalent foods and fluids used in health institutions. 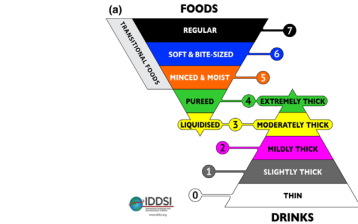 To establishing final recommendations for adopting the terminology and methods of identifying the various textures of the Dysphagia Diet Standardization Initiative (IDDSI)1 in Israel in all institutions as well as in the community (HMO’s). A multidisciplinary committee of speech pathologists and dietitians was appointed and a questionnaire was developed to identify the labels of texture-modified foods and thickened fluids used in the Israeli healthcare system. 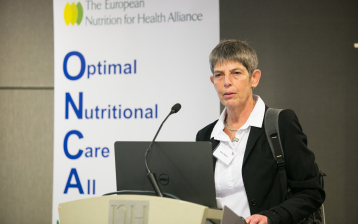 The questionnaire also included questions of knowledge, attitudes and barriers related to the need for a consistent national terminology for texture modified diets. The questionnaires were sent to 120 institutions. Twenty-six speech pathologists and 42 dietitians responded. The answers revealed that there were 50 labels in use for texture-modified foods. When asked to describe the texture of a particular food item, up to seventeen different labels were found. There was broad support for a standardized labelling system. 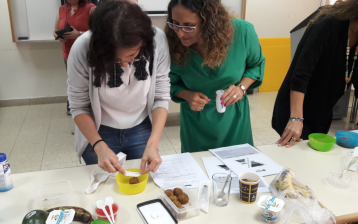 Currently, we are conducting a pilot study in a Geriatric hospital (Bait-Balev Bat-Yam) with the purpose of learning how to implement the new terminology amongst the staff- dieticians, speech pathologists, nursing staff, food service staff (kitchen and staff serving food in wards), and caregivers. The results confirmed the lack of national standards in clinical practice and the need for a consistent terminology. 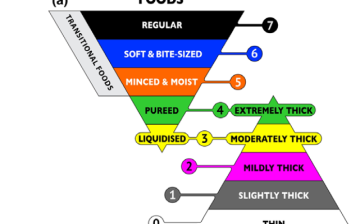 A consensus was achieved between the committee members, and the committee approved a five-category scale for foods and a five-category scale for fluids according to the International Dysphagia Diet Standardization Initiative recommendations. In the coming year, we will train all dieticians and speech pathologists how to assimilate and implement the terminology in the various healthcare settings.